Purpose: The purpose of this paper is to analyse the potentiality of private health insurance in Sudan, using the Shiekan Insurance Company (Ltd.) experience. 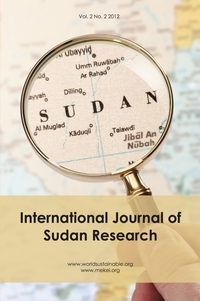 The present research also explores the possibility of private health insurance (PHI) as a system of financing health services in Sudan. Design/methodology/approach: The study adopted descriptive and analytical approaches using both quantitative and qualitative data. In addition to the reviewed literature, the statistical records of the Ministry of Health were used to collect secondary data. The primary data were collected via questionnaires and interviews. The questionnaire was completed by private insurance patients in six private hospitals contracted with the Shiekan medical network in Khartoum city during 2010. Key informants in the medical insurance department of ShiekanInsurance were interviewed. Findings: The main findings revealed that private health insurance is gaining importance in Sudan due to its provision of comprehensive medical services with high standards, the high satisfaction of patients’ needs, and ease of access and use procedures. However, absolute levels of coverage are still very low and the system faces many difficulties. Practical implications: The knowledge and information generated by this paper will aid in better understanding the role of private health insurance services in Sudan. It will also strengthen the research capacity in the health sector, which is very limited in Sudan. The study is intended for policy-makers and programme managers working in the ministries of health in Sudan. It will also be of interest to professional organizations and academics. Originality/value: Although private health insurance has been an important research topic for many developed countries, very little research has been carried out in Sudan. This study has analysed the potentiality of private health insurance in Sudan regarding equity, utilization, access, efficiency and quality in health services.